The CIHPRS Service Rifle Award was traditionally awarded to the highest Servce Rifle Shooter for the CIHPRS/Camp Atterbury season. The dates on the plaque begin in 1999 with Gary Moncrief. 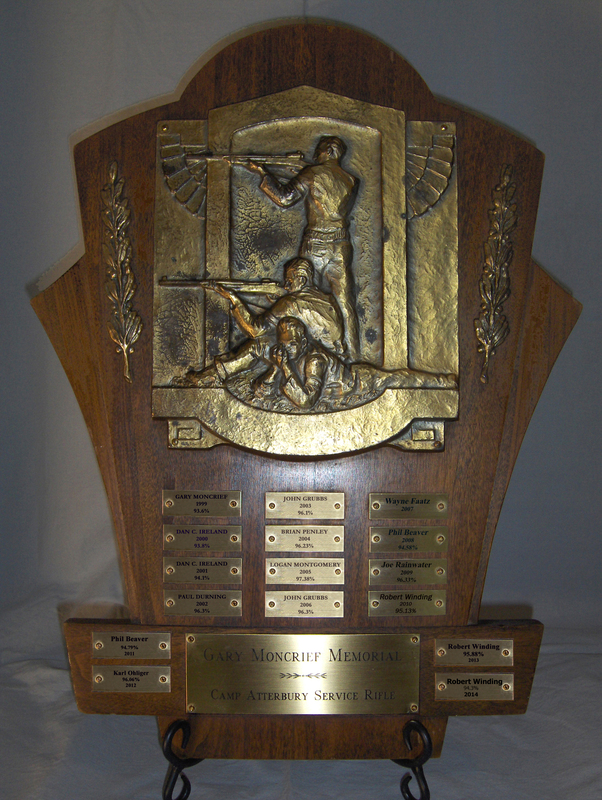 The award was renamed the Gary Moncrief Service Rifle Award in 2002. Gary Moncreif was an Army veteran. He was an avid NRA Highpower competitor. He was a Master across the course and expert long range. He was a true supporter of the sport. He would loan his best equipment (rifle, scope, ammo, etc. . ) to anyone who was trying to get started in the sport or needed a hand. Gary was a farmer by trade but a hunter and target shooter by passion. His biggest excitement of the year was the trip to Perry to compete in the service rifle and long range competitions. And then deer hunting season! The majority of his deer hunting was in Jennings County where he grew up. He had two trophy bucks that were scored in Boone and Crockett to show for his efforts. His life was cut short at the age of 46 by terminal cancer. Gary continued on giving after his death by donating target rifles and equipment to the Hoosier Hills Rifle and Pistol Club, which he spelled out in his will. By doing this he continues to live on in the hearts and minds of the shooting fraternity as his rifles and equipment still show up on the firing line, often winning matches just as Gary intended. The trophy from 1999-2015 was awarded to the highest scoring CIHPRS member in Across the Course matches using a Service Rifle. Starting in 2016 this trophy will be awarded to the highest scoring CIHPRS Across the Course season champion. 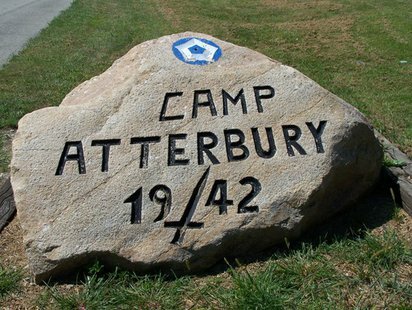 This is based on the minimum number of matches of CIHPRS Club members completed at Camp Atterbury during the season. This trophy has not been awarded since 2015 as it was stolen from CIHRPS.